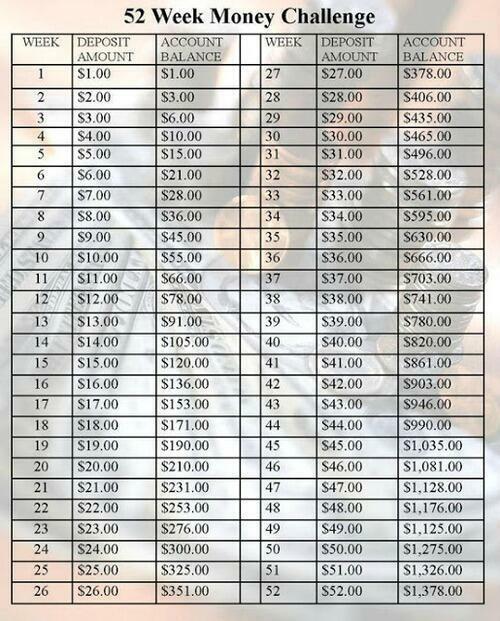 Happy New Year: The 52-Week Money Challenge! Numbers are not my friend. In fact, if truth were told (and I guess it is) I am afraid of numbers. It doesn’t seem to matter in what form they approach me: mathematics, addresses, telephone numbers, money, its meaning has always eluded me. I’m not joking. I am numerically challenged. The idea of a scale from 1 to 10 has no real meaning to me. And, please, don’t even get me started on percentages. Yes, I know how to cut a pie into pieces and that half of the pie is 50%… And, that’s the extent of it. 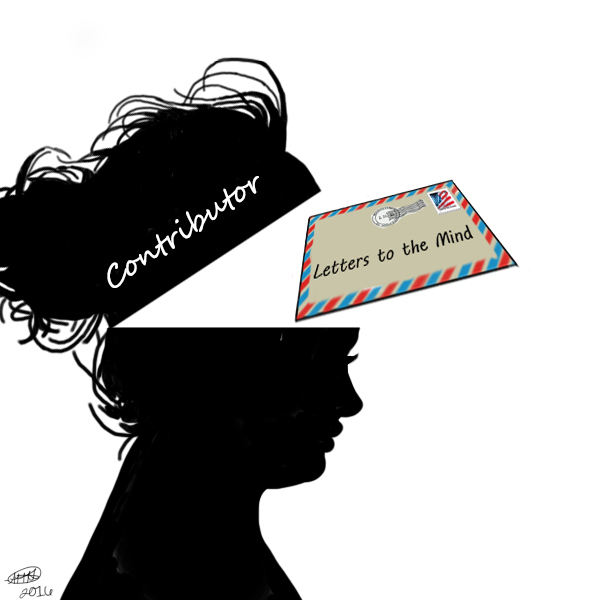 Fifty percent is half… but what is half? That doesn’t mean anything to me. Let me try and explain a little better. I go to physical therapy 3 times a week and each time I am there they want me to document my pain or other various symptoms using that oh-so-familiar numbering scale which has haunted me my entire life. I mean the problem is that those numbers are just words to me, they have no actual value or correlation to my life experience, those words or “numbers” have zero relevance to anything other than, well, numbers. “Ten” is just a word that I know means “a lot more than “one”. So it gets really confusing and difficult when I am then later asked percentage of improvement or impairment questions. Percentage? Huh? Wha?? I have no idea what you are asking me. You might as well be speaking Orkan to me as I understand that equally as well, maybe even better than I do numbers and mathematical concepts. I mean, at least with Orkan I know that Na-nu Na-nu is a greeting and Shazbat is an expletive! Anyway, I kinda let my number-numbness take over there a bit. My point is: just as understanding eludes me so too does the money for which it may represent. So, beginning today, January 1, 2015, I am going to at least try to keep ahold of whatever I can. I’ve always been good about picking up the pennies off the ground and putting them in the jar, it’s just that by the end of the month I’ve had to empty the jar to get gas or milk or dog food… So it is time to begin an official savings account… the kind in a bank where I cannot access it easily (in other words, a bank I don’t use for anything else and is not conveniently located). First I will open a box of envelopes (or two) and number each of them from 1 to 52. There will be one envelope for each week of my challenge. Week one I will take envelope one to my newly acquired savings bank and deposit the contents of that envelope… one dollar. On week two I will take envelope two and deposit its contents of two dollars into my savings account where a lone dollar bill sits — Hey look, I’m adding! I will follow my chart and the envelopes will help me keep track of where I am at so I don’t lose track because, believe me, it’s numbers and I’d lose all kinds of track. And if I keep doing this then by the end of 52 weeks I’ll have saved $1,378 (I only know that because I cheated and looked at the chart above). I always get a tax refund in April and so I thought I might fill the bigger numbered envelopes at that time but wasn’t sure if I’d still be doing the 52-week challenge in April (3 months from now). Sadly I looked it up and discovered that, yep, I’m still as numerically challenged as I was when I began this post. It turns out that there are 52.1775 weeks in a year. You’re laughing, but that’s okay, I am embarrassed to see how bad off I really am. It’s good to know the truth, once you face it, you can work on fixing it. And please don’t complicate matters by asking me about those digits after the decimal point, please don’t laugh or poke fun at me, but I have to pretend they don’t exist. Let’s just say there are 52 weeks in a year and leave it at that. Maybe I’ll throw a little pocket change in with my designated amounts, if the change happens to be in my pocket and I happen to think of it in the moment I’m at that bank on that day with my sealed and saved envelope in hand. This is my 52-Week Money Challenge and it is my New Year’s Resolution to succeed…. if only just this once at saving a little money. And I challenge you to do the same, especially if you have kids. Let them help you prepare the envelopes, stuff them, take them to the bank with you and let them have the free piece of candy or proffered cookie. Help them learn to save now, while they’re children and show them that it can be fun. Then at the end of the year put that savings toward something you and your children can plan and enjoy together. < Previous Wanna Go Bye-Bye With Dad? Awesome, Joe! Remember, you may want to fill the biggest envelopes during your wealthiest point in the year instead of relying completely by calendar commitment. 🙂 Good luck!